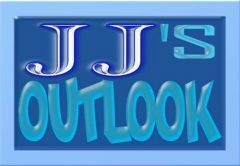 JJ’s Outlook is a blog. The blog primarily consists of commentaries on events occurring within the world and within the news, as well as stories of a creative nature. This blog serves to inform and share, and also as a platform for the sharing of opinions. There is also a Facebook page to which this blog is linked. So thanks for stopping by, and enjoy the blog!